Arrived in the mid-afternoon at various times and greeted each other. Everyone had lunch and that evening met in Gene's room for some Champagne that Gene brought, and some sea stories. Retired to our rooms between 10:00 PM and 10:30 PM. Every day we had a buffet breakfast at 8:00 AM and our retirement in the evening was between 10:00 PM and 10:30 PM. 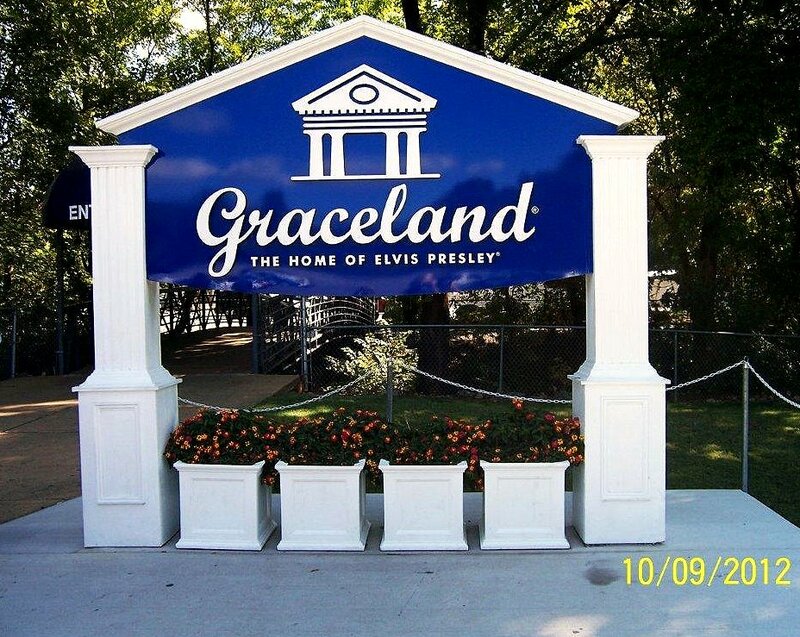 Spent most of the day at Graceland, Home of Elvis Presley as it took that long to see the Home, Airplanes & Cars. Had lunch and dinner through the day and the evening at Gene's room for wine and fellowship. Spent the whole day in Memphis, TN visiting "Mud Island" and walking on Beale Street. We had lunch at BB Kings Blues Club on Beale street. BBQ was great and our waiter kept us laughing the whole time. Later we played the slot machines a while at the Gold Strike Hotel where we stayed. Once again we met in Gene's room for some wine and more fellowship. At the end of the evening we said our goodbyes as we were all leaving for home early in the morning. We all had a great time reuniting and there was no idle time the whole three days. We also discussed going to our main reunion in August/September at Helena, MT. We are all looking forward to that, health permitting. A great group of guys who served on the USS Helena CA-75.